It's almost everywhere in Maldives sand with coral chips. I may advise Fihalhohi Island Resort. As for more expensive hotels, I think all of them have pretty sand beach. 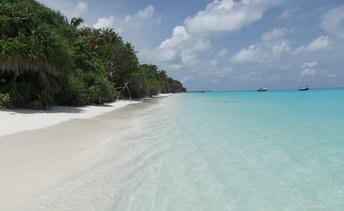 Please advise island in Maldives with good sandy beach without coral stones.